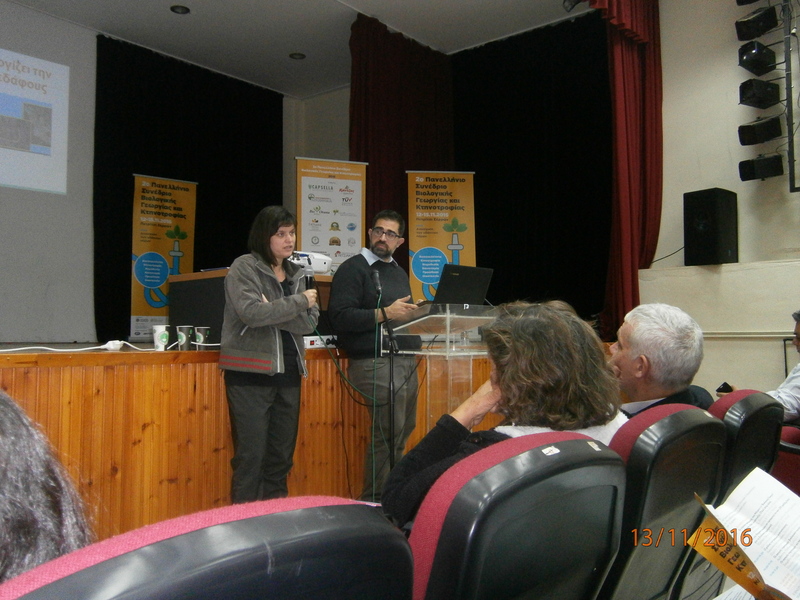 The second CAPSELLA workshop was organised by Aegilops (Network for Biodiversity and Ecology in Agriculture) which is heavily involved in the CAPSELLA project and took place in Petritsi (Serres, Greece) on November the 12th, within the Second Greek National Organic Farming Congress. 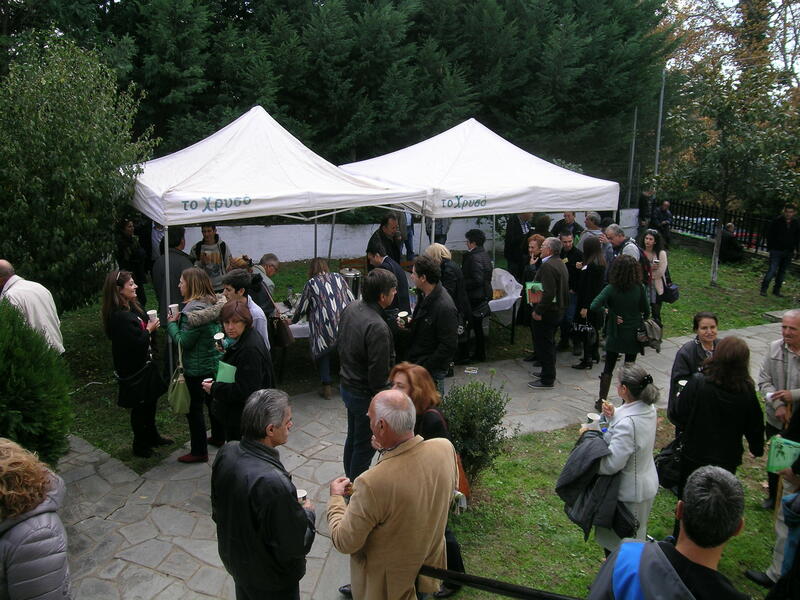 The event, which took place under the auspices of the Ministry of Agriculture and the Ministry of Northern Greece, was attended by over 100 participants, including policy makers such as the Vice Minister of Agriculture and the Alternate Minister of Environment and Energy Gianni Tsironis. Thanks to the active participation of consumers, farmers, technicians and researchers, the event was a good opportunity for discussing the importance of applying agroecology principles in farming and of actively manage and preserve biodiversity. The IT specialists highlighted the valuable support that ICT tools can offer for developing innovations based on the exploitation of agrobiodiversity. Dr. Christina Vakali (Aegilops) guided a reflection on the main challenges that can endanger soil health. Dr. Diego Guidotti (Scuola Superiore Sant’Anna of Pisa) presented possible uses of ICT solutions for supporting the assessment of soil health. The participants were then actively involved in discussing which soil health self-assessment methodologies can suit farmers needs and can be integrated in an online application. A questionnaire was used for recording the output of this discussion, which was filled in by around 50 participants. The participants showed interest towards new, tailor made ICT solutions to support their work. This group of farmers is keen about ICT tools that provide answers to specific challenges of the farming activity. Soil health threats (erosion, compression, water quality and lack of organic matter) have a heavy impact on their work. In this context, it was raised the need to increase and facilitate access to agronomic knowledge, environmental and economic data to support their actions against those threats. 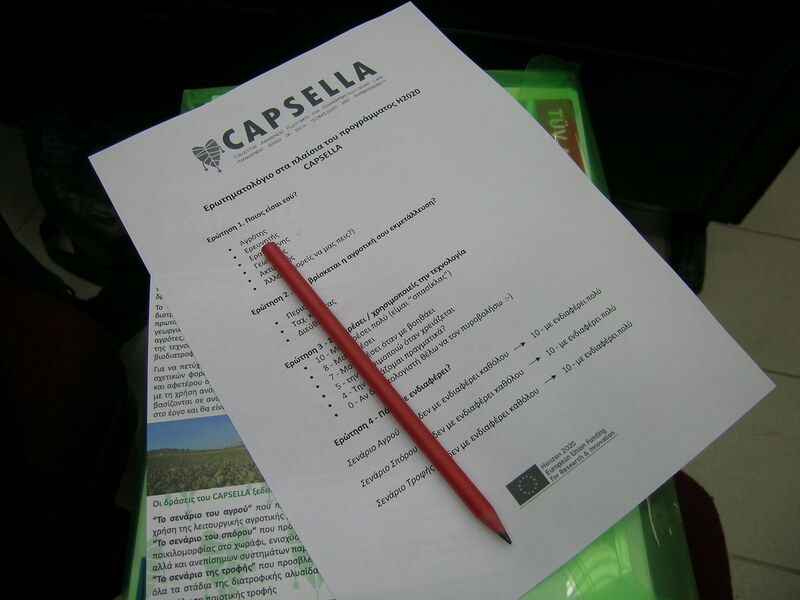 Many of the farmers present expressed interest in testing the discussed self-assessment methodology and related CAPSELLA application in their farms. The possibility to share results of soil health assessment and create a farmers’ community exchanging information about good agronomic practices via the CAPSELLA soil health application was perceived as a good opportunity. The support of these farmers in the later stages of the project, when the soil health application will be released, will be helpful for the CAPSELLA consortium for enhancing the impact of the project outcomes in the biodiversity based agriculture domain.